Many in energy circles are extremely excited about the prospects of wind energy as a viable alternative to other forms that either keep us dependent on foreign countries or are bad for the environment. A completely green way to harvest energy, three companies in Massachusetts are vying for their place as the originators of an exciting offshore wind project. Using offshore wind harvesting is just in its infancy, but with innovation, technology, and some investment, the major players are hoping that they can revolutionize the energy industry in one fell swoop. Massachusetts has begun to draw barriers relating to serious offshore energy harvesting and how companies need to operate. 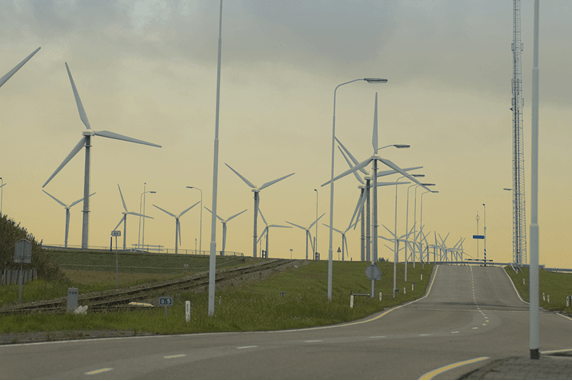 Although the three companies are in disagreement about how much the original procurement amount should be, they are united in their belief that, if they can be successful, then wind energy might be a thing of the future, for real. According to the law, the electricity generation, and then the transmission of it, is handled completely and entirely by the company who wins the government contract. Appealing to the Baker Administration, the companies are trying to work out the details of how much of the market they can covet and how to have fairness in competition. A law that was passed last year maintains that the state is allowed to procure 1600 megawatts of harvested offshore wind, but that each company is only allowed to procure 400 megawatts total, leaving the competition open for more than just one company to monopolize the wind energy generation. The law also stipulates that each contract entered by a company has to be less than the one that came before. Also, the winning bid must be lower than any winning bid on preceding contracts. The reason that it is such a big deal is that all eyes are on Massachusetts and how they handle wind energy and companies who harvest and generate it about offshore laws. There is a likelihood that if all goes well, it will just be a stepping stone to some major changes sweeping across America, especially for states that border oceans, like New England and other areas of the nation. The biggest complaint that the competing companies have to the offshore laws for wind energy is the amount of procurement that each company is allowed. Many take issue that there is a shelf set at 400 megawatts. There are some that want to go all out and take more than the 400 megawatts share and others who are cautious and want to stay within the 200 megawatt range. And, instead of investing it all to fail, they want to take it slowly and build. One of the major players, Baystate Wind, which is a company based out of Boston, believes that the law shouldn’t limit the contracts to 400 megawatts or more, which is being echoed by the Conservation Law Foundation. Their stance is that a company should be allowed to produce on a scale from 400 to 800 megawatts, according to what they think they can manage. Other companies believe that if the law is opened up to allow for 200, 400 and 600 megawatts, it will give more competition in the marketplace, which will bring down the costs for the energy and make more companies, able to compete. That way if it is successful, the amount of energy that can be harvested will be maximized. They argue that if you allow one company to take on as many as 800 megawatts of procurement, then they will basically own the market, and can set prices unfairly due to very limited competition. Also in question is whether each company should handle the full scope of the offshore wind farm production and transmission or if companies could share in the lines that will need to be placed. Not feeling a need for replication of transmission lines, or the cost or environmental impact, if companies can lease one another’s transmission lines, it will save everyone time, energy and cost. Wind energy is still in its infancy and expected to significantly impact the energy harvesting in America. A clean and environmentally sound way to produce energy, the prospects of its success is very exciting. Once the logistics of offshore wind farm laws can be agreed upon, there is likely no stopping the advancement in wind energy and technology.